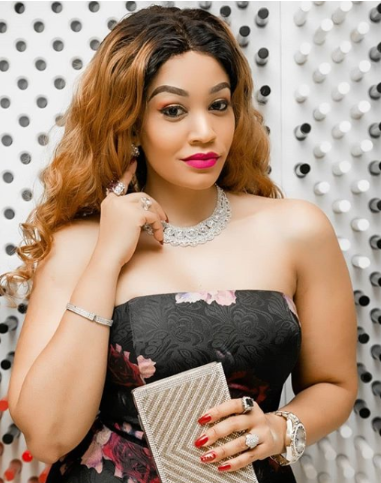 Socialite Zari Hassan has come out to thank her fans after supporting her on social media. Diamond Platnumz ex-wife has now hit 4 million fans on IG and was really happy. She took to the platform to thank everyone that has helped her hit the milestone. “Wapendwa wangu Sina cha Kuwalipa Zaidi ya kusema ASANTENI sana kwa 4M followers. Ninyi Ni Ma Ndugu kwangu, Mmekua Nami Bega Kwa Bega Kwenye Shida na Raha. Sasa Mnichiangieni $1 kila mtu tujenge clinic ya wanawake sehemu yoyote dar, Najua tukiipata Baba Magufuli atatupa kiwanja… #JustSaying PENDA SANA NYINYI. THANK YOU SO MUCH FOR 4M. LOVE YOU ALL.” she said. The milestone comes hot on the heels following Babu Tale, Diamond’s manager’s bold move to travel to South Africa in a mission to reunite Zari and Diamond, for the sake of their children; Tiffah and Nillan. Diaomond now has 4.7 million followers on Instagram.